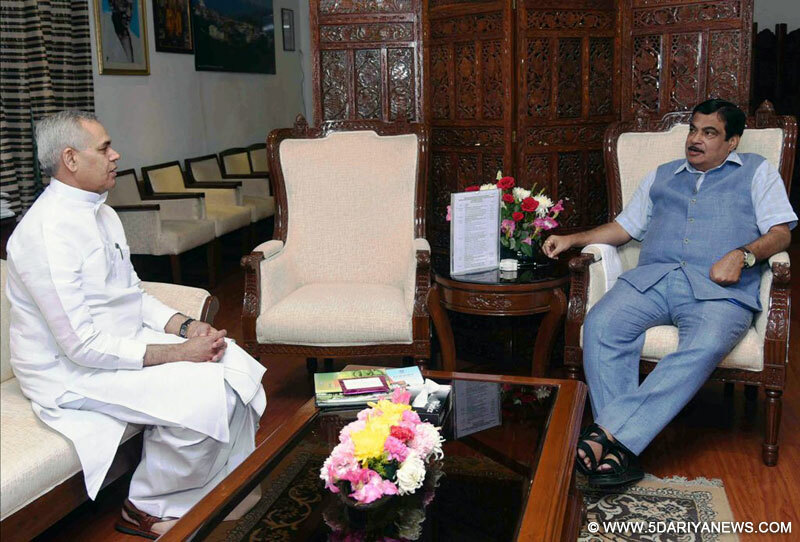 Governor Acharya Devvrat called on Union Minister of Road Transport and Highways Shri Nitin Gadkari late evening at New Delhi.In his meeting with the Union Minister, the Governor discussed various developmental issues pertaining to the State. He apprised the Minister about the road condition in the State.The Governor told Shri Gadkari that road were the lifeline of the people in this hill State and majority of population and their activities totally depend on the road connectivity. He added that due to tough topographical conditions, it was difficult to maintain and construct new roads in the hilly area as the same required liberal funding. He urged the Minister to extend all possible support to the road infrastructure development in the State.Shri Nitin Gadkari said that NDA government had approved many road projects for Himachal and assured that in future also the pace of development would be further accelerated.